Galchen, Llandewi Rhydderch. ? 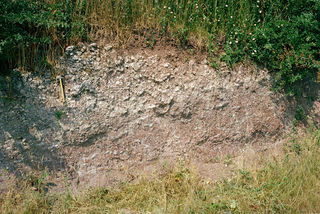 Psammosteus Limestone. 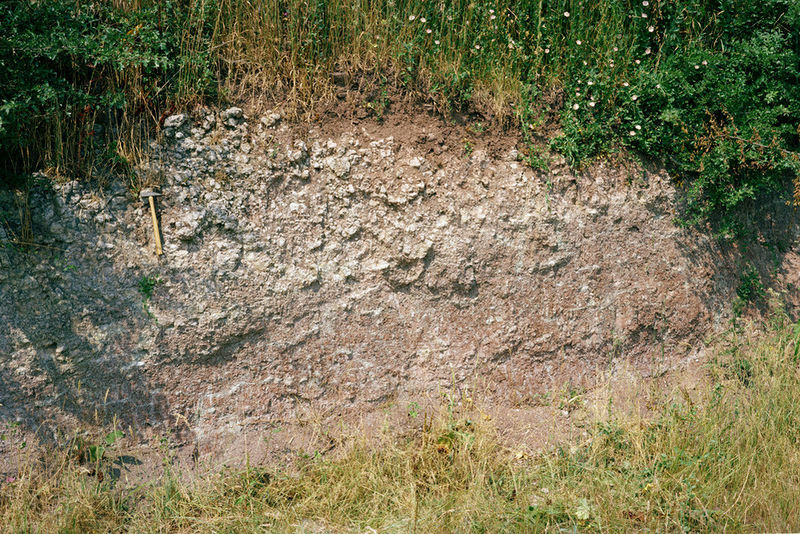 Recent exposure of nodular to rubbly calcrete, thought to be the Psammosteus Limestone. This is taken as the junction between St. Maughan's Group above and Raglan Marl below (Lower Old Red Sandstone). Widespread calcrete development at this level indicates soil formation in an arid climate. This page was last modified on 10 June 2014, at 16:29.